Claire Roumet is executive director of Energy Cities and Femke de Jong is EU policy director at Carbon Market Watch. This week, the EU environment ministers will adopt their position on a law that is central to delivering on the Paris Climate Agreement in Europe. The Effort Sharing Regulation covers over 60% of the EU’s greenhouse gas emissions, setting binding national emission reduction targets for the EU member states for sectors such as transport, buildings, waste and agriculture. But many governments are pushing for loopholes in the draft law that would allow countries to avoid any climate action in the effort sharing sectors in the 2021-2030 period, which means that the target of 30% fewer emissions would only be reached on paper (but not in practice). The proposed loopholes include a misleading starting point, the possibility to carry over unused pollution permits from the pre-2020 period and to use forestry credits and surplus pollution permits from the oversupplied EU carbon market to compensate for emissions from sectors such as transport and buildings. If adopted, they put the delivery of Europe’s climate commitment at risk and stifle efforts that are being undertaken by cities and regions across Europe. The fight against climate change will be won – or lost – in cities. More than 70% of Europe’s population lives and works in urban areas and over half of the total greenhouse gas emissions are created in and by cities. Cities and regions have understood the urgency of climate action and are moving forward in cutting emissions through innovative practices that bring along co-benefits such as cleaner air, more comfortable and safer cities and less dependence on energy imports. More than a third of the EU’s 2020 climate target will be delivered by cities, equivalent to 240 million tonnes of CO2 emission reductions. The push by national governments for loopholes in the EU’s key climate law therefore goes against the efforts undertaken by local and regional governments. For example, the national governments of Spain and Italy were at the bottom of the EU Climate Leader Board that evaluated their stance on the draft effort sharing law. Yet, their view is not shared by the numerous cities in these two countries, representing over 24% of the Italian population and 16% of the Spanish population, that are working to accelerate the low-carbon transition under the European Covenant of Mayors for Climate & Energy. The Spanish city of Gijón for example aims to cut its emissions by at least 35% by 2020 and is launching a €20 million investment programme to renovate public infrastructure. 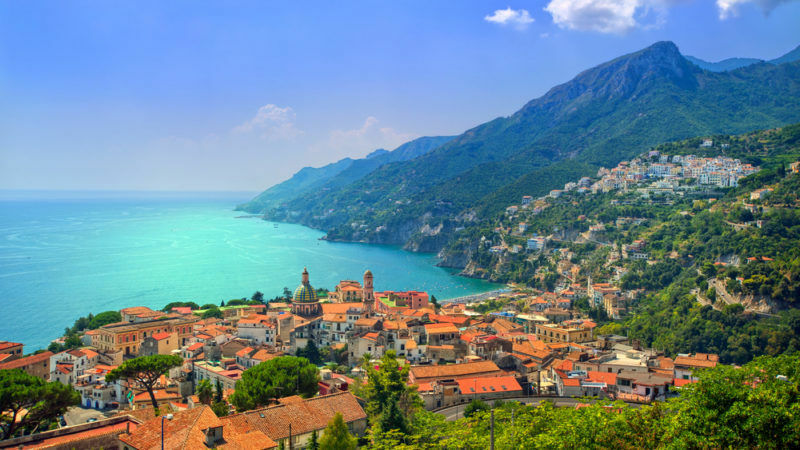 In Italy, Salerno has turned circular economy into concrete action. The city recycles 70% of its municipal waste, and a new composting plant has allowed it to reduce its CO2 emissions by 24,000 tons per year. These are but a few examples of the actions taken by local and regional authorities that directly benefit their citizens and point to the great climate mitigation potential in cities. Unlocking this potential will allow the EU to increase its climate ambition and improve the quality of life for millions of urban residents. By taking a strong stance on the effort sharing law and closing the loopholes as they meet this week, the EU environment ministers can show that they acknowledge the contribution of the various local actors on key EU climate and energy policies and want to help them drive Europe’s low-carbon transition.